Many companies now rely on remote teams or remote employees. There have even been reports that up to half the workforce will be working remotely as soon as 2020. Employing remote teams can be a great competitive strength. It gives you the opportunity to hire from any location, making it easier to bring in talented people. But there are challenges. Finding and hiring great people if they live thousands of miles away is a challenge. Communication and productivity can be patchy - or worse. I hope these seven tips can help you get the most out of your remote teams. A big reason for the failure of remote teams is a lack of effective communication. You have to find a way to compensate for the fact that you're not sharing a physical space with your employees five times a week. Finding the right kind of virtual space is the first step towards effective communication. Think about having a virtual chat room for each team in your business. There's a balance between keeping these chats alive and making sure they don't impinge on productivity. 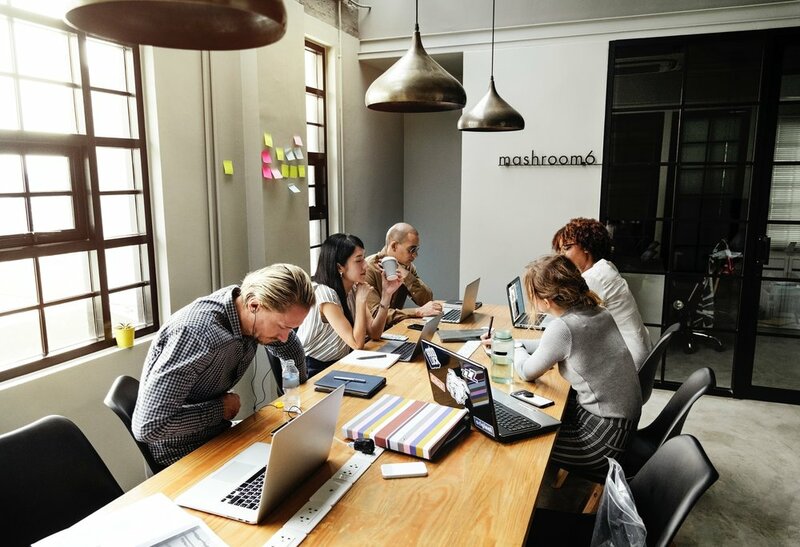 The right chat room should give remote employees a feeling of connection to their team, and the organisation at large. Slack, Skype and Hipchat are three common forms of chat software that are worth considering. Always be wary of chat or email overload. Zoom is a good option for video conferencing while TeamViewer works well for screen sharing. As for sharing documents, Google Drive is the best option, allowing multiple people to edit one document simultaneously. You will never be able to completely monitor your remote teams, so setting out clear expectations from the start is a good idea. There should be no confusion over roles and responsibilities within your remote team. Have interim goals and yardsticks for each remote employee. Include deadlines if appropriate. Not everybody is cut out for remote work. Make sure they have the right environment at home. Do they have a quiet place to work? Are they living alone and struggling to find time to see friends and family? Distraction or isolation can be big issues without remote employees. You don't have to hire remote employees straight away. You can test how well they will work by giving them a small project first. When it's completed you can moving to discussing full-time work if necessary. Full-time work is a better option for remote employees. Full-time employees who rely on you for their livelihood are less likely to drop off and will be more dependable. It's easy to keep track of productivity in terms of, say, hours worked, with employees in an office. In a virtual environment it can be hard to follow who is working on what and how long they worked on it. There is a small minority of remote workers who can be relied upon to keep the right hours and be disciplined in their work. For a majority of remote workers you hire, you'll need some way of tracking their productivity. You could invest in time tracking software or set up a timesheets system to solve this problem. People can feel lonely or even isolated when they work from home, with predictably negative outcomes for productivity. A quarterly review, used as a way of touching base with remote employees is a good way to make sure everything is working well for them. It's hard to create a company culture through the written word alone. Use video conferencing as a way to inspire your team and to reinforce vital company concepts like values and mission. Make sure your remote teams feel part of the company at large. Share the future vision of the company with them and keep them informed of how the company is doing. Employees like to know how they are contributing to the bigger picture. Anything you can do to make them feel like they are part of the wider culture of the company ought to be done. Try to have in-person company meetups two or three times a year. All the software and chat rooms in the world can't compensate for trust in your employees. If you've made the right hires, it's important to back them in their work. Trust them, and they'll trust you.